In this blog series I’ll continue to explain my learning journey on SAP IoT Application Enablement (CF). 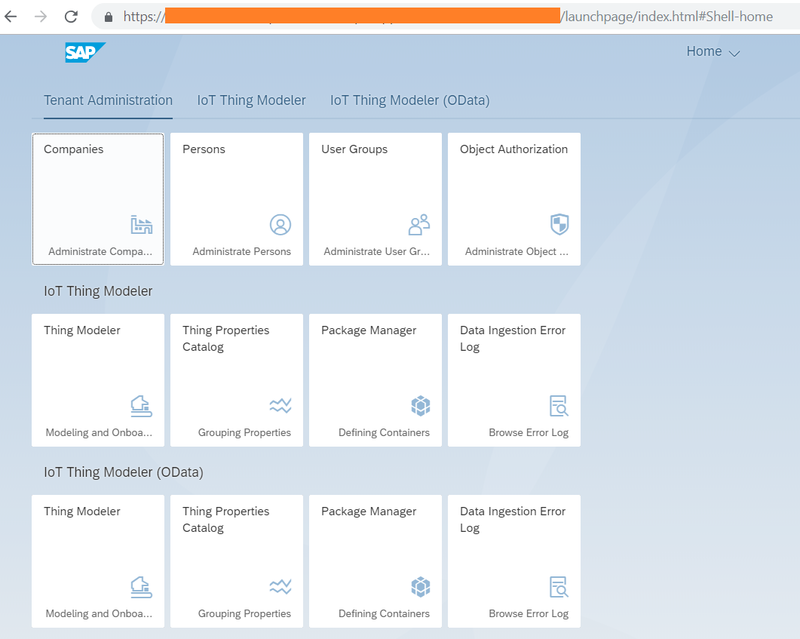 In this blog I’ll focus on the “SAP IoT Application Enablement”, creating the “Digital Twin”. 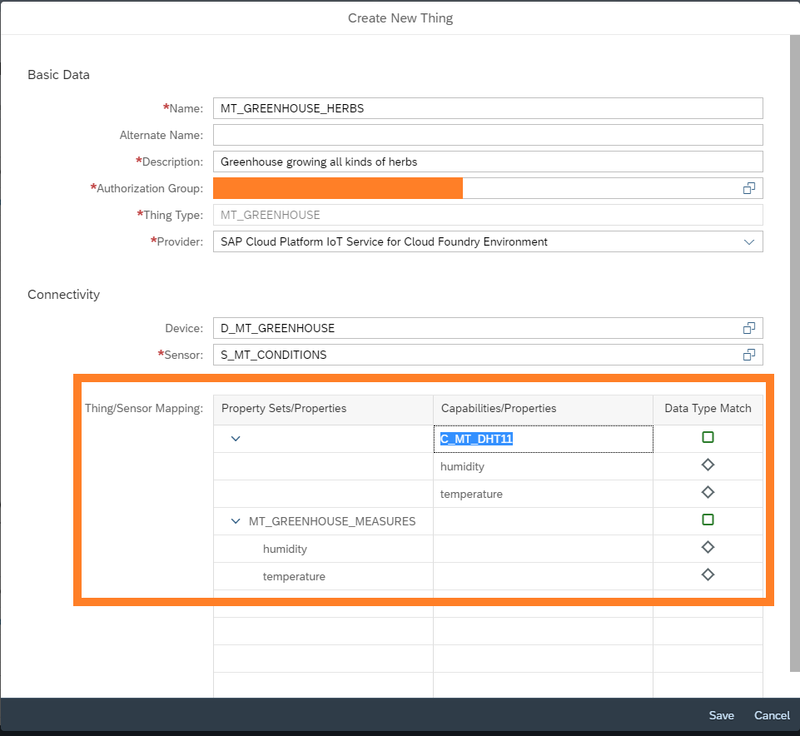 Navigate to the IoT Application Enablement launch page. 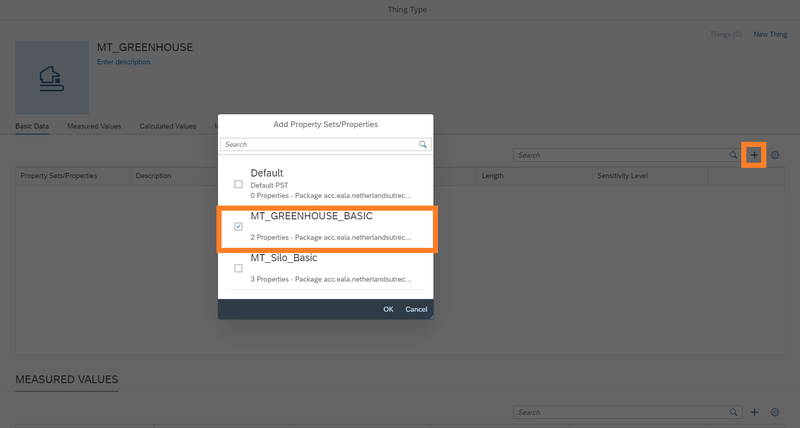 Navigate to the “Things Properties Catalog”. 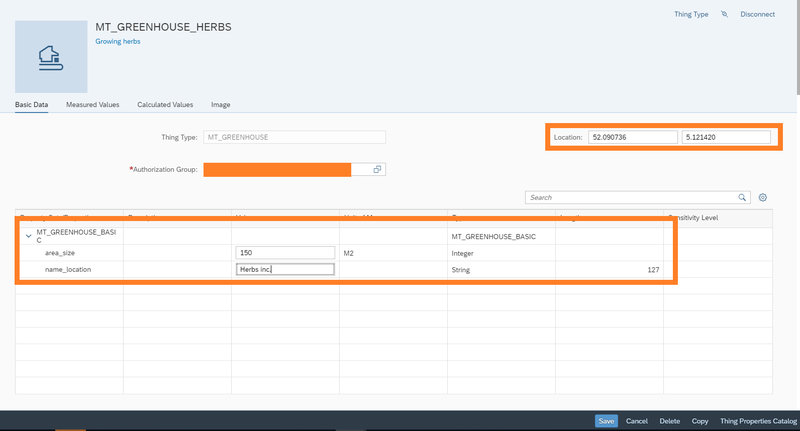 Select the right package and click on add. 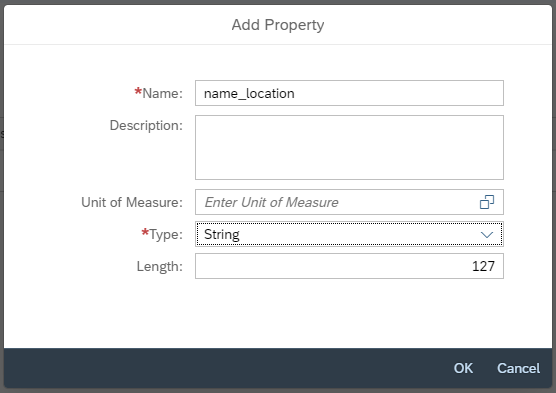 First let’s create a property set for basic data. 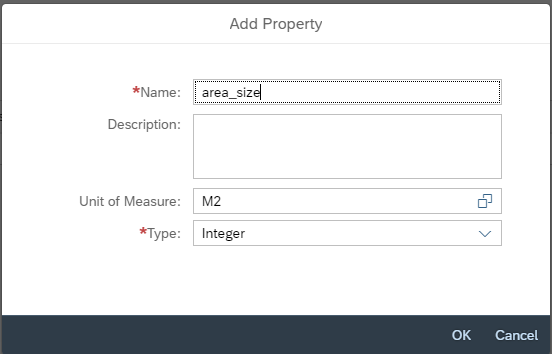 Add properties “area_size” and “name_location”. 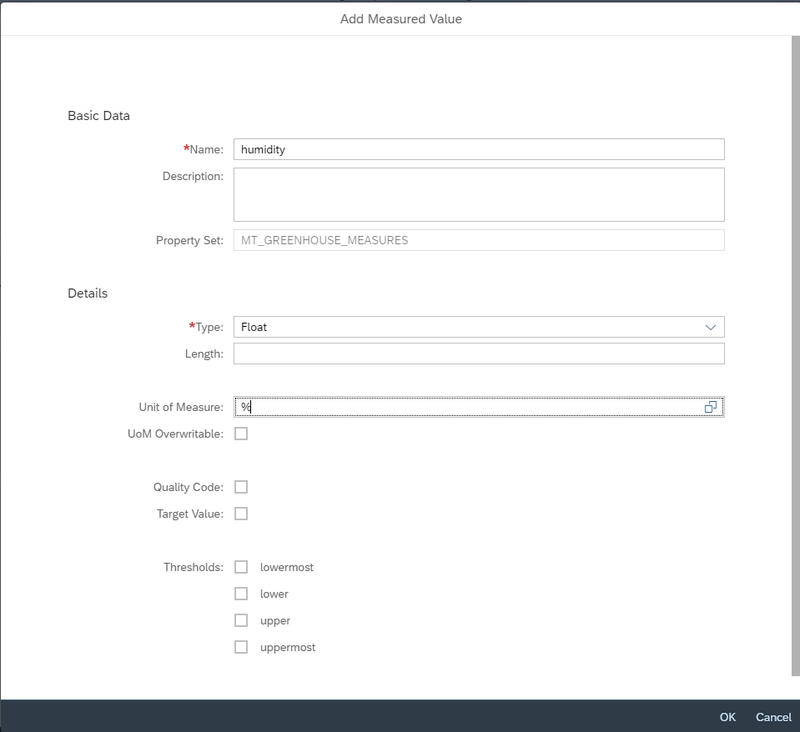 Save and add a new property set for measured values. 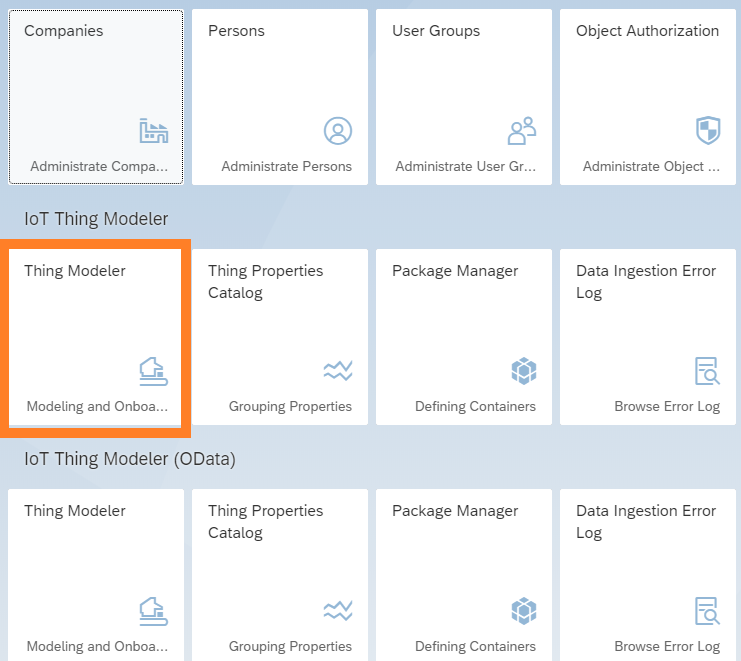 Navigate directly by clicking on the “Thing Modeler” button or click on the “Thing Properties Catalog” tile (IoT Application Enablement launch page). 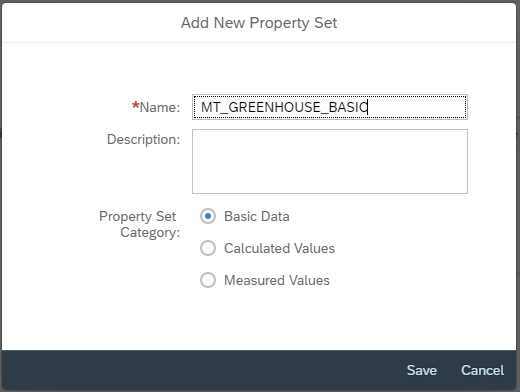 Add property set “MT_GREENHOUSE_BASIC” to Basic Data. 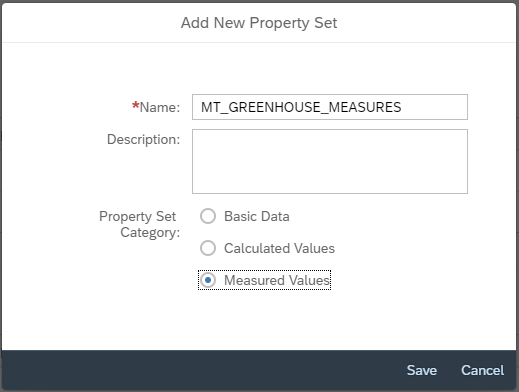 Add property set “MT_GREENHOUSE_MEASURES” to Measured Values. Result should look as next and a New Thing can be created. 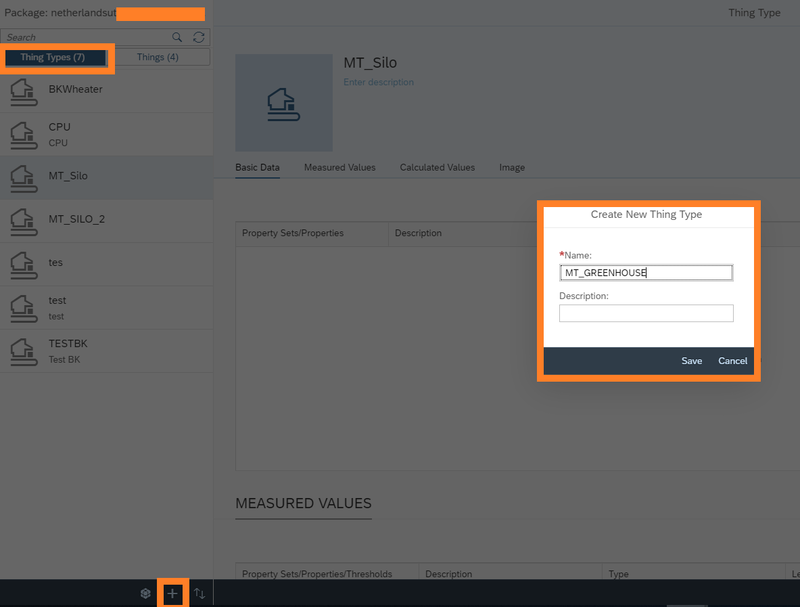 A new popup will appear to enter Basic Data & Connectivity details. 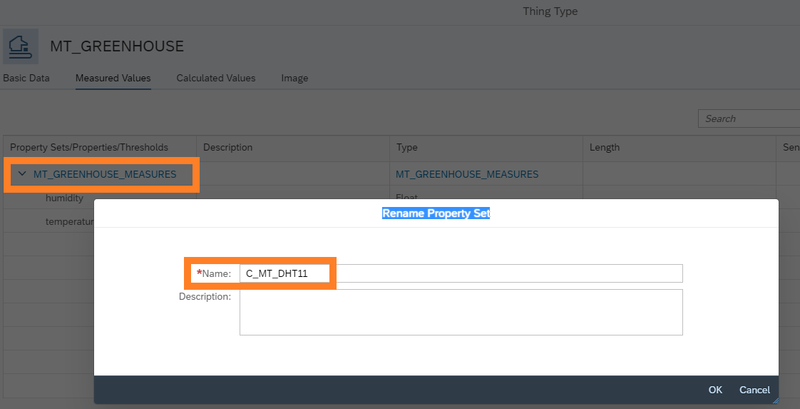 Notice that there’s an issue with Thing/Sensor Mapping (which will be resolved in next step). 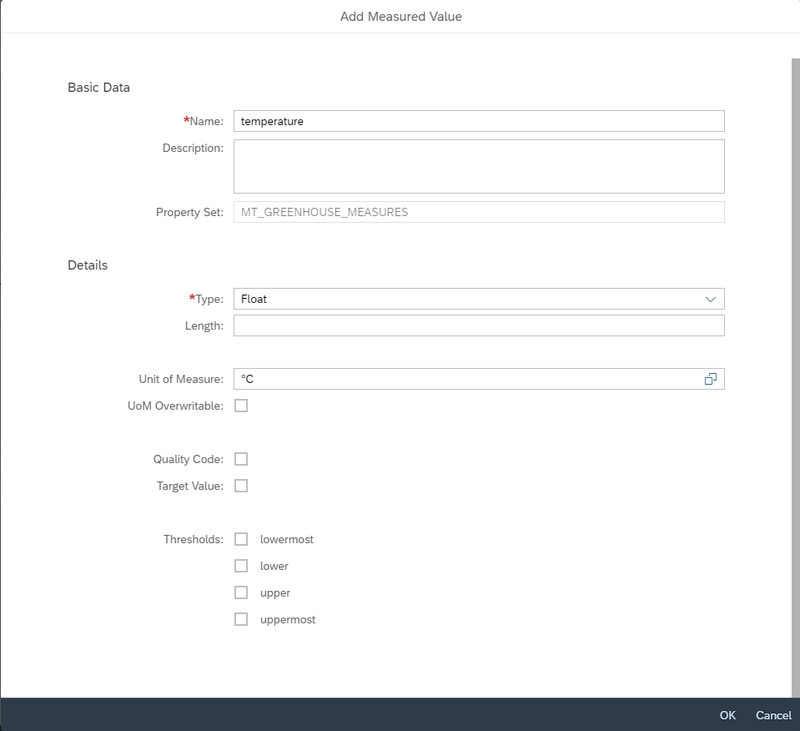 The device and sensor are created in previous blog. 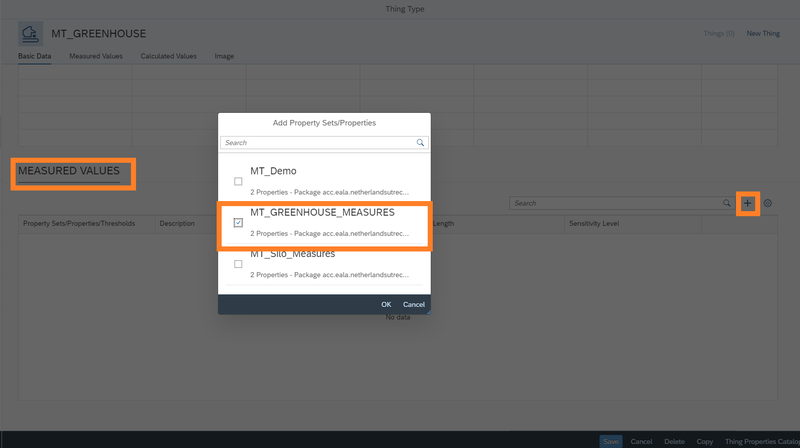 The mismatch in mapping can be resolved by renaming the Property Set “MT_GREENHOUSE_MEASURES” into “C_MT_DHT11”, which is in sync with the name of the capability created in previous blog. 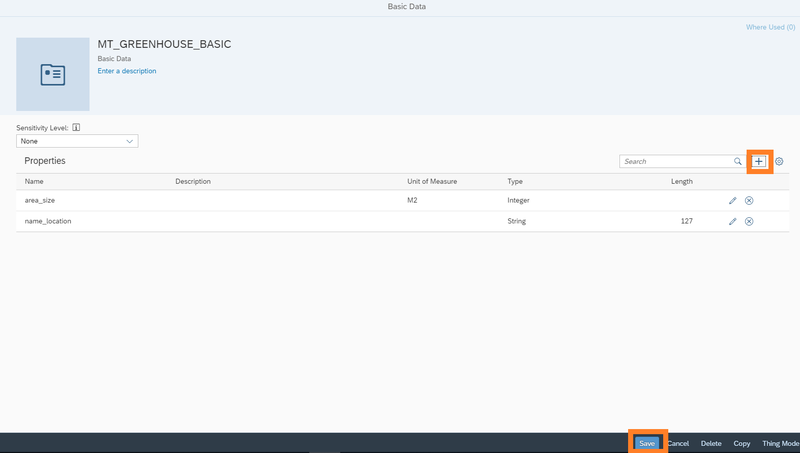 Now the Thing/Sensor mapping is fixed. 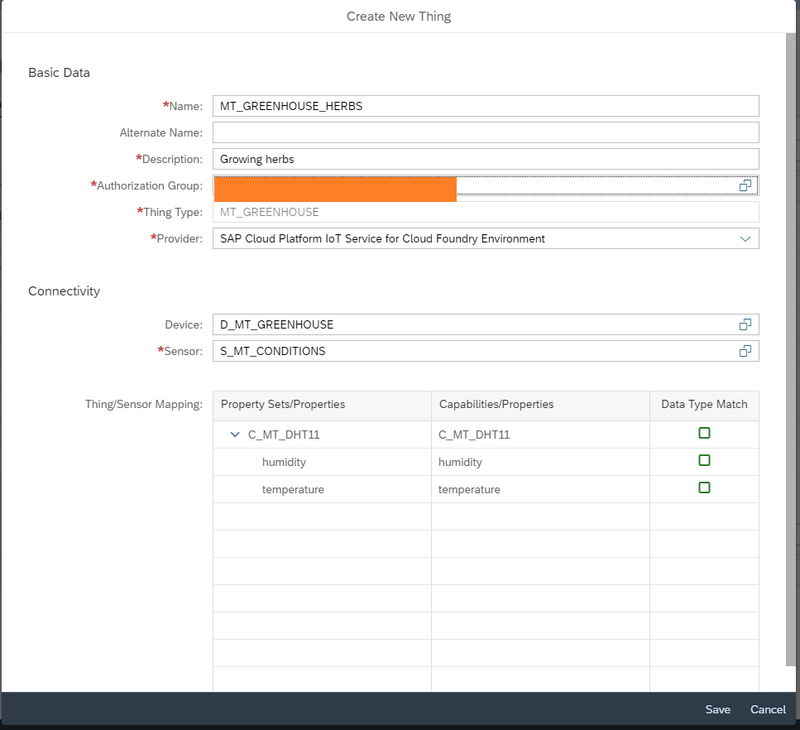 The digital twin has been created successfully. 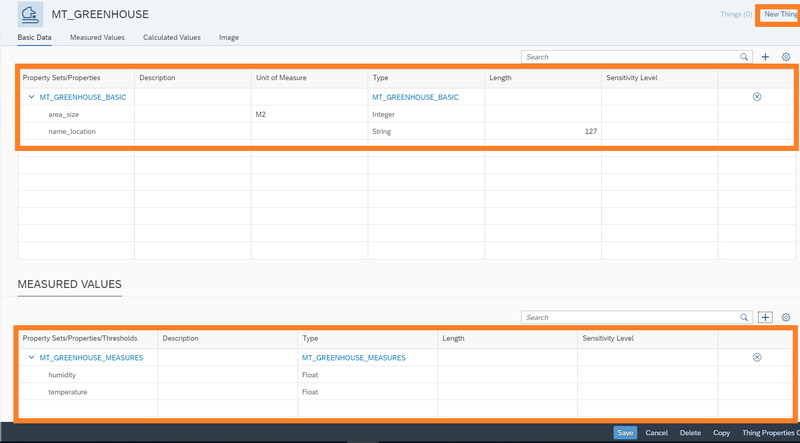 The location details and basic data are added. 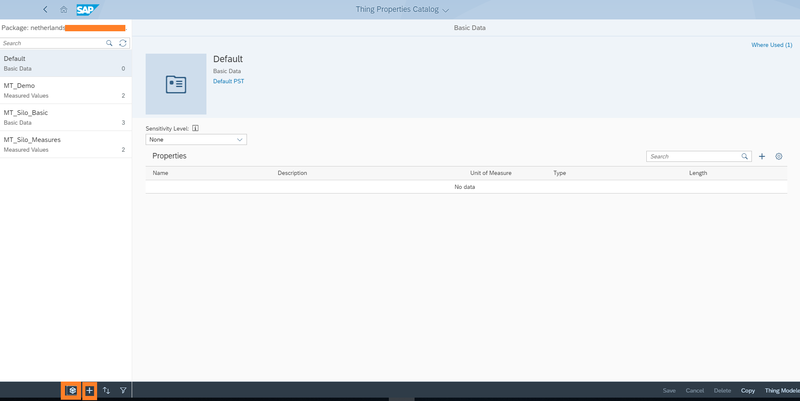 All prerequisites are completed for next step, the creation of an app based on a Fiori IoT template. Thanks for reading and feel free to share comments/ feedback or any other meaningful inputs :).